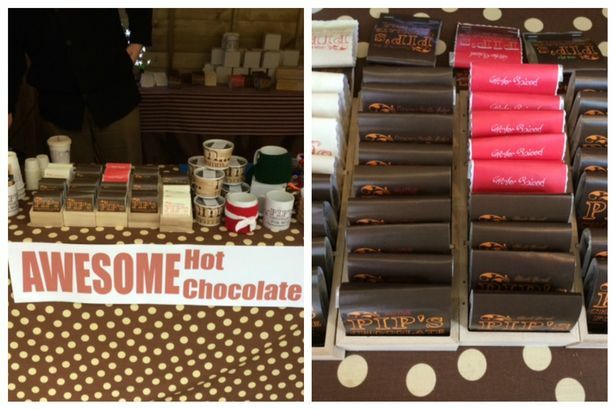 The Real Hot Chocolate Co is based in South Wales, and is appearing at the Cardiff Christmas Market on stall 53 (right outside House of Fraser in The Hayes) from 7th-13th December. Pip will be there in person all week, serving fresh hot chocolate, offering tasters, and selling his uniquely flavoured Belgian chocolate mixes. Everybody loves hot chocolate. It’s hard not too really. This local company supplies hot Belgium chocolate flakes made from natural ingredients, with delicious flavours including White Mint, White Raspberry, Hot Chilli, Cinnamon Chocolate Fudge, Cinnamon Vanilla Fudge and Simple Sweetness making choosing the perfect flavour a very tough decision indeed. With sachets of 48% chocolate Belgium flakes or Belgium chocolate tubs with 59%, it’s no doubt you will be there for a while, torn between what flavours to get. Whilst you’re there, grab yourself a cute hand-knitted (by the stall owner’s mother!) mug hug, where at least £1 of every purchase will go straight to a charity for cancer. Hip “Pip” Hooray!